Plantations growing Sea Island cotton on Harris Neck as early as 1787 (Julianton was the first) ensured the presence of a large population of enslaved Africans, who were also essential to rice, cattle, and timber production. By the early 19th century the Gould family was one of several who owned large tracts of land here. Contemporary maps show Gould’s Landing (today’s Barbour River Landing) and an adjacent Gould’s Cemetery. 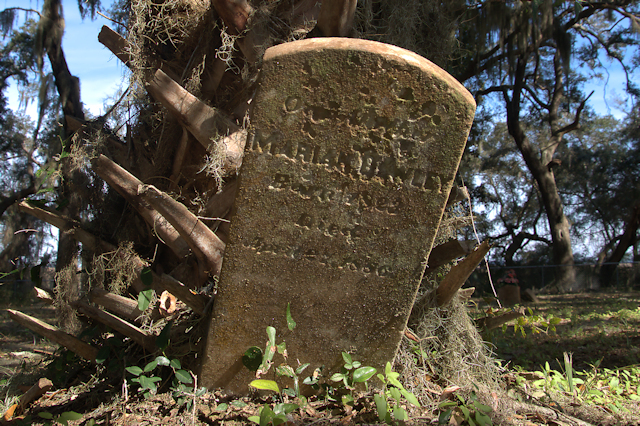 This was undoubtedly the one we see today, a slave burying ground, though no graves from that time were formally marked nor recorded, to my knowledge. To me, this is one of the most magical places on the entire coast. 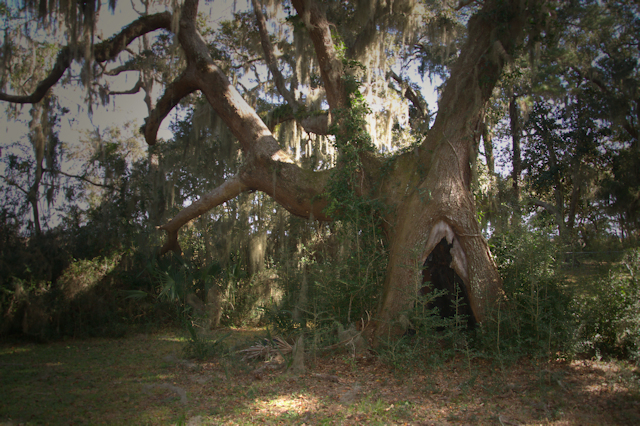 It’s a place of quiet refuge and subtle beauty that speaks not only to the sad history of slavery but to the evolution of enslaved people in the years following emancipation. It’s somewhat protected by its location within the boundary of a National Wildlife Refuge but it definitely bears further research and listing in the National Register of Historic Places. 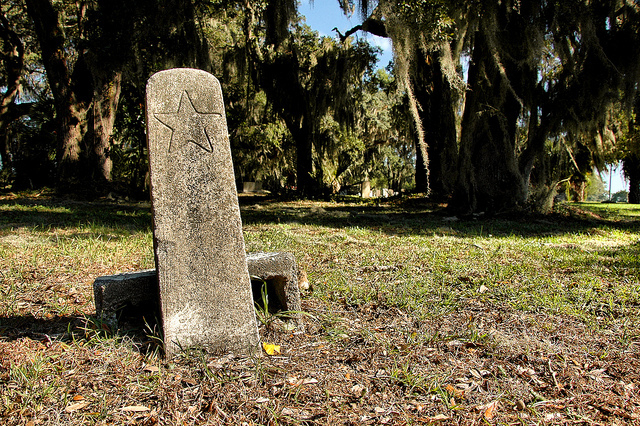 Gould Cemetery is significant not only because so many formerly enslaved persons are buried here, but also for the the large number of headstones featuring a star motif. 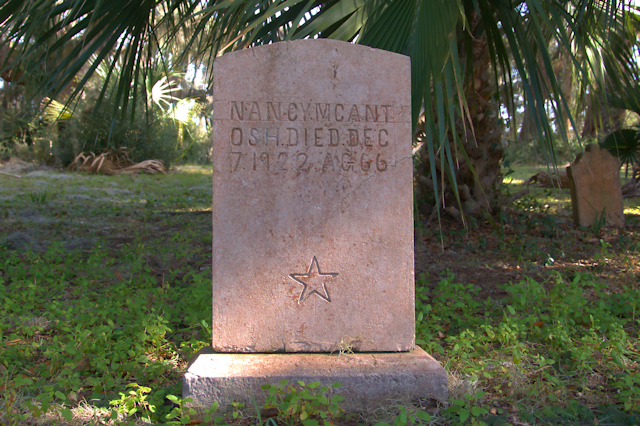 The star is a long-employed Christian icon, somewhat common among African-American burials in the years after slavery. It’s my belief that most of these were done by the same artisan, though the range of dates suggests that perhaps an apprentice to the original carver may have completed some of the later ones. I have no way to confirm it but feel certain the carver was a member of the community. I’m presenting this as a photographic guide to these headstones (though not yet complete nor in any particular order) including names and dates with the hope that it will be helpful to genealogists and historians. Names are carved in simple block lettering. At first glance the phonetic spellings that characterize these markers can present a bit of a challenge, so I have shown the original spellings and placed what I believe to be the correct names in parentheses. Catharine Golds (Gould? )- Wos bon Oct. 17 1889. Died August 25 1927. 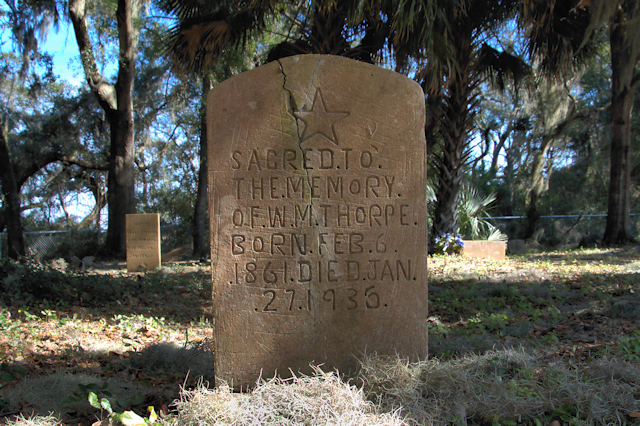 W. M. Thorpe- Sacred to the memory of W. M. Thorpe. Born Feb 6 1861. Died Jan 27 1936. 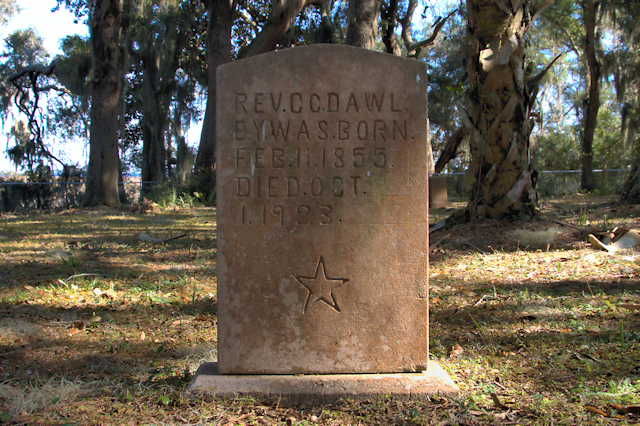 Reverend C. C. Dawley- Was born Feb 11 1855. Died Oct 1 1923. 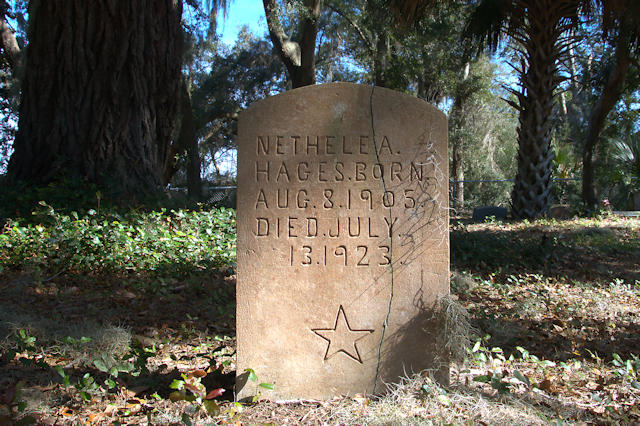 Nethelea Hages (Hodges? )- Born Aug 8 1905. Died July 13 1923. 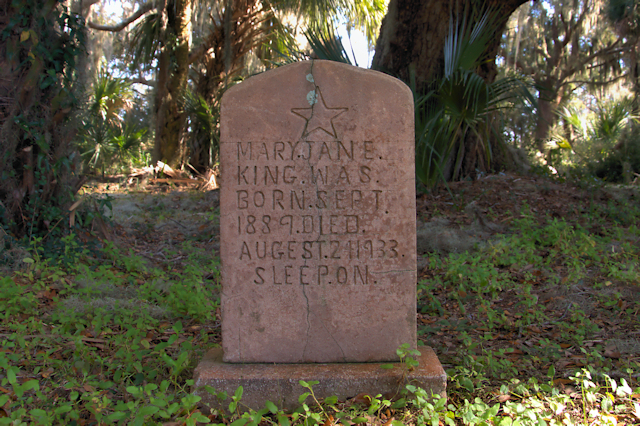 Mary Jane King- Was born Sept 1889. Died Augest (August) 2 1933. Sleep On. 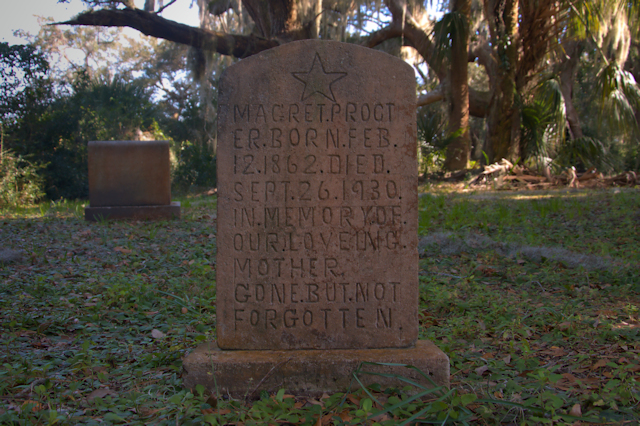 Margret Procter (Proctor)- Born Feb 12 1862. Died Sept 26 1930. In memory of our loveing (loving) mother. Gone but not forgotten. 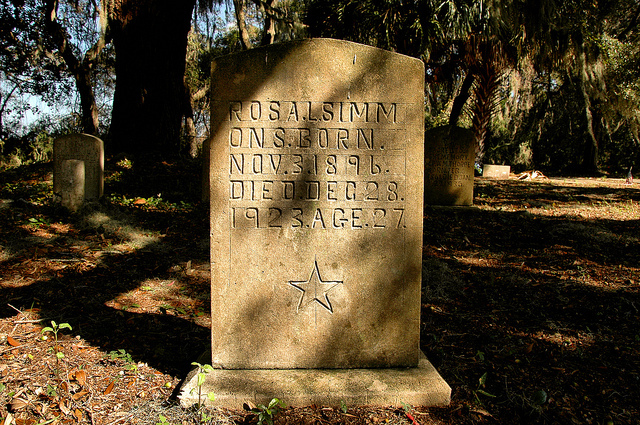 Rosa L. Simmons- Born Nov 31 1896. Died Dec 23 1923. Age 27. 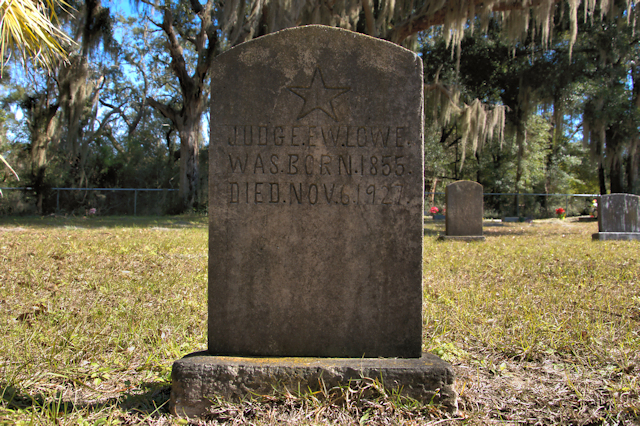 Judge E. W. Lowe- Was born 1855. Died Nov 6 1927. 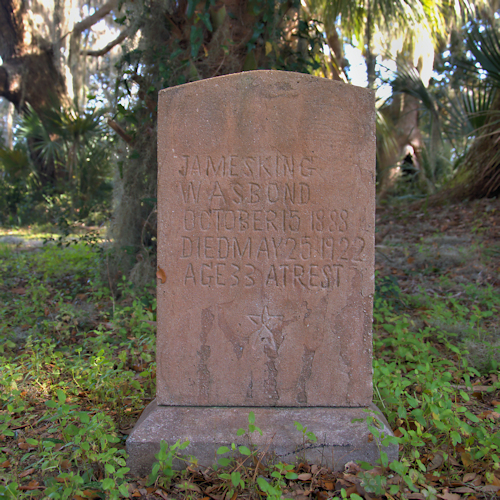 James King- Was bond October 15 1888 Died May 25 1922. Age 33. At Rest. 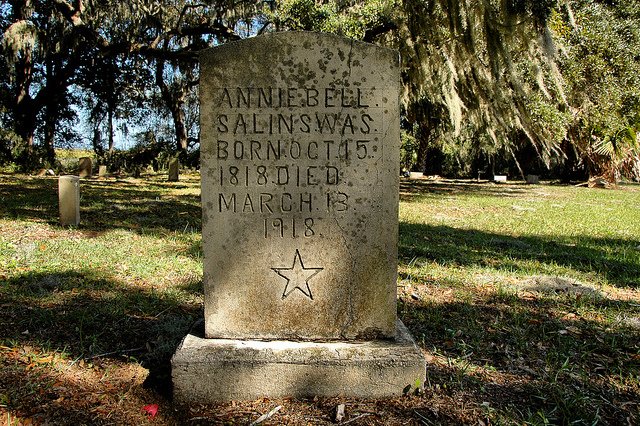 Annie Bell Salins (Sallins)- Was born Oct 15 1818. 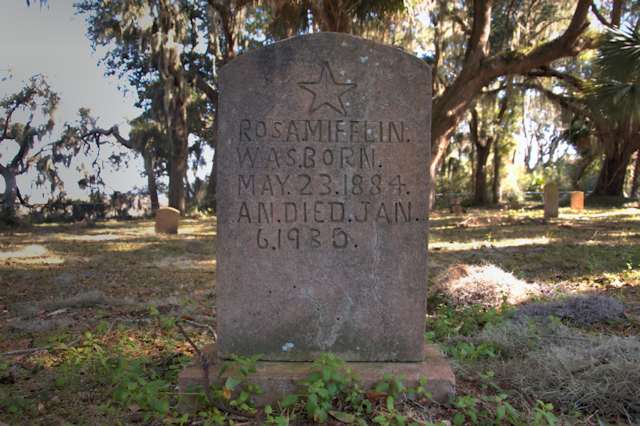 Died March 13 1918. 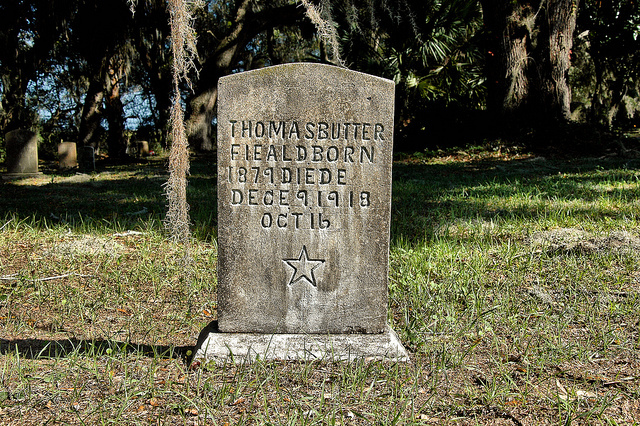 Thomas Butterfieald (Butterfield)- Born 1879 Diede (Died) Dece 9 1918. Oct 16. 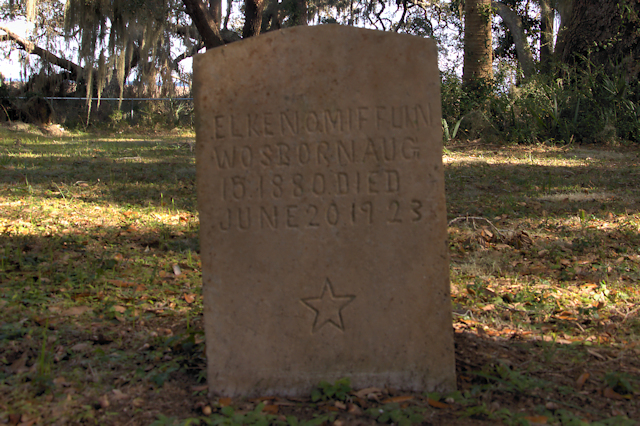 This headstone is a bit puzzling at first, but I believe the October 16 is likely an indicator of the the birth date, discovered after the process of carving the headstone had begun. Elliott Miflin (Mifflin)- Was born March 22 1886. Died May 28 1928. Daniel Mifflen (Mifflin)- Born March 16 1856. Died Nov 1 1942. 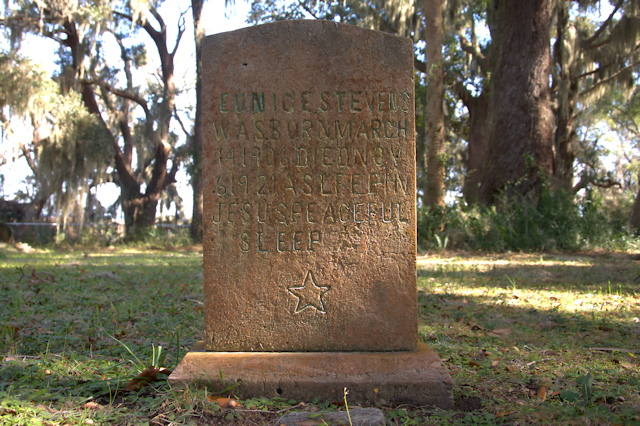 This is one of the newest of the star headstones and the only one to feature a Masonic cypher. 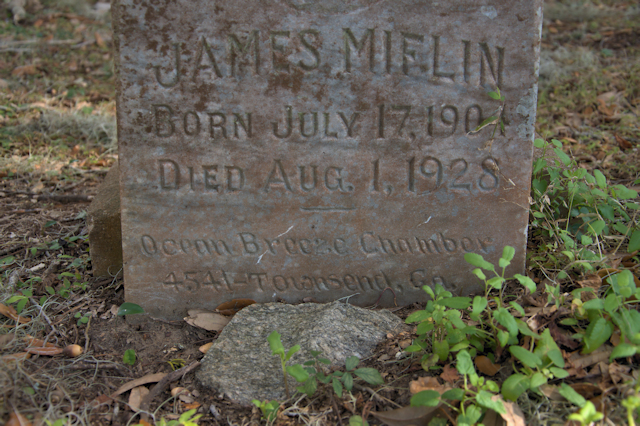 James Miflin (Mifflin)- Born July 17 1901. 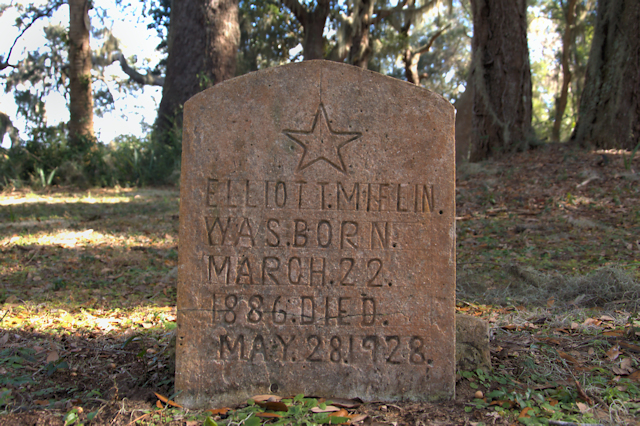 Died Aug 1 1928. Ocean Breeze Chamber 4541-Townsend Ga. 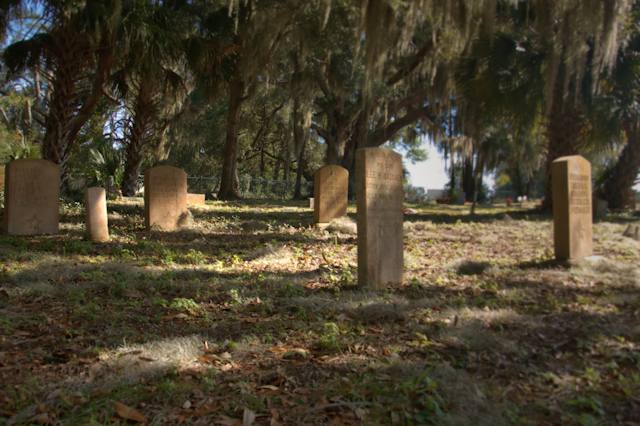 The Ocean Breeze Chamber in Townsend was likely one of the numerous fraternal lodges for African-Americans common on and near the Georgia coast in the last decades of the 19th and first decades of the 20th centuries. Other than churches, these were about the only places blacks could gather in the Jim Crow era and were centers of fellowship and community. 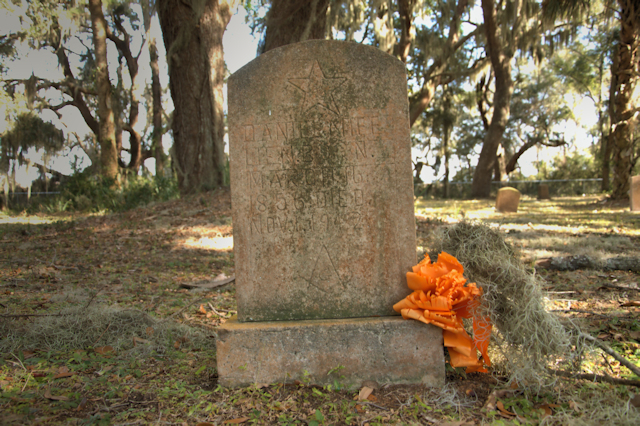 They were also practical, as most provided members the opportunity to purchase burial insurance. Townsend is about 20 miles inland in McIntosh County. Marian Dawley- Born 1823. Died April 27 (?) 1886. 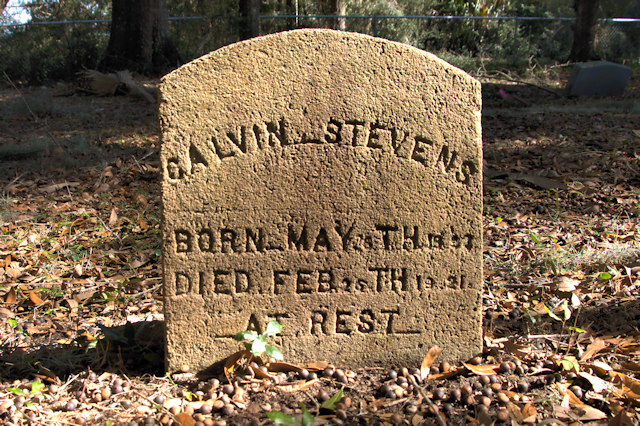 Calvin Stevens- Born May 28th 1903?. Died Feb 25th 1921. At Rest. 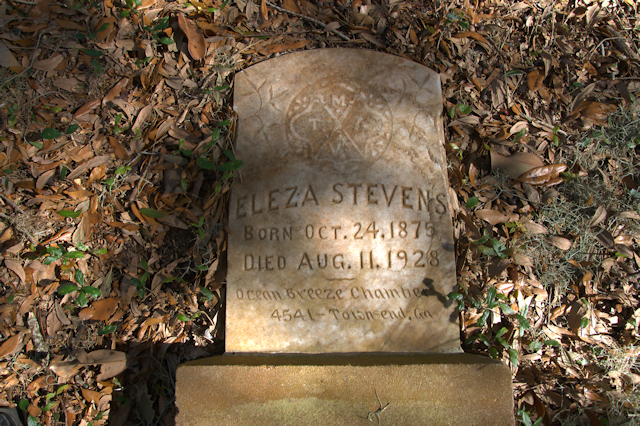 Eleza Stevens- Born Oct 24 1875. Died Aug 11 1928. 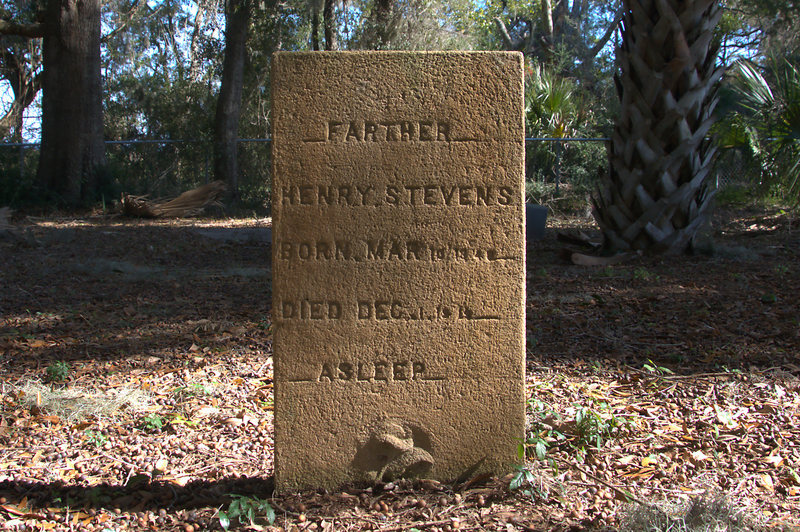 Ocean Breeze Chamber 4541-Townsend, Ga.
Henry Stevens- Farther (Father). Born Mar 10 1840?. Died Dec 1 1919. Asleep. 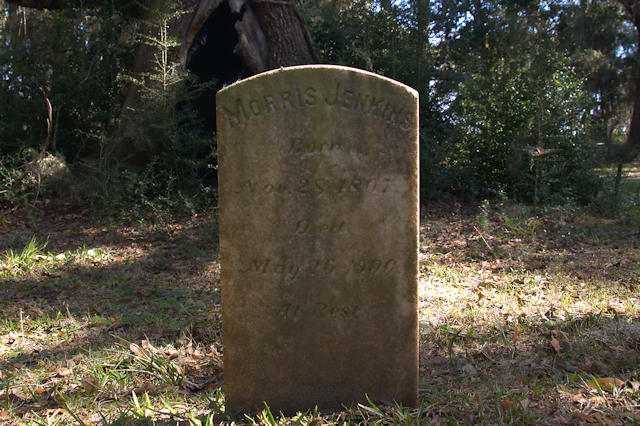 Morris Jenkins- Born Nov 28 1807. Died May 26 1900. At Rest. 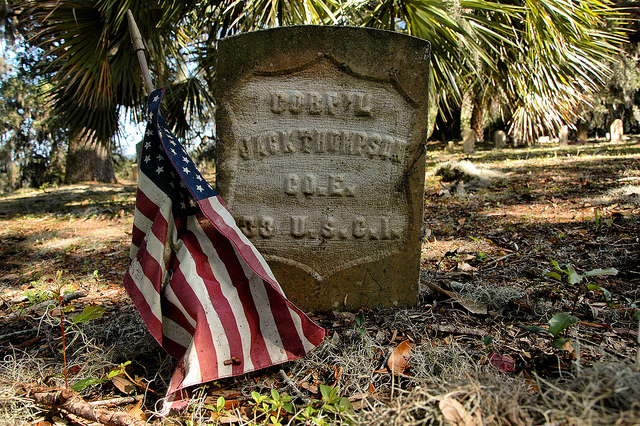 Corporal Jack Thompson was an African-American with ties to the Gould plantation. 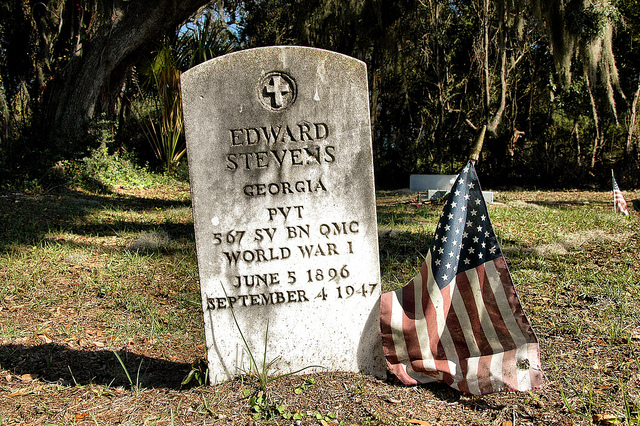 He served with Company E, 33rd U. S. Colored Infantry. This regiment was organized 31 January 1863 or 8 February 1864, as 1st South Carolina Volunteers Colored Infantry attached to U. S. Forces, Port Royal Island, South Carolina, 10th Corps, Department of the South, to April 1864. They were mustered out on 31 January 1866. I’ve been unable to find any other information on Corporal Thompson. 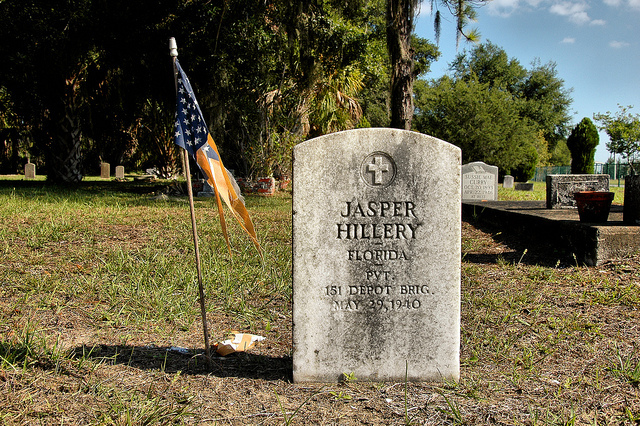 Private Jasper Hillery- d. 29 May 1940. Florida. Private Hillery served in the 151st Depot Brigade. 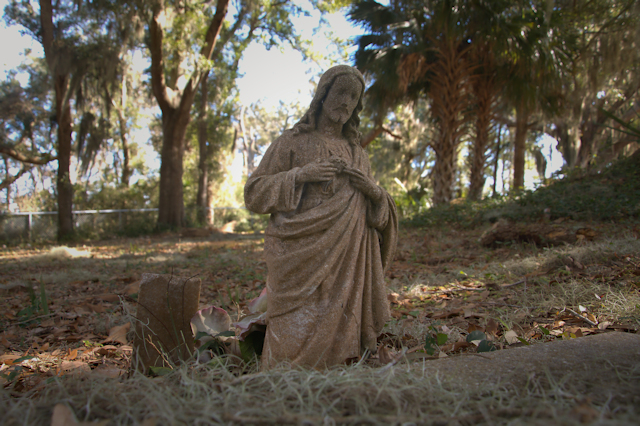 Jesus Statue near Dawley gravesite. 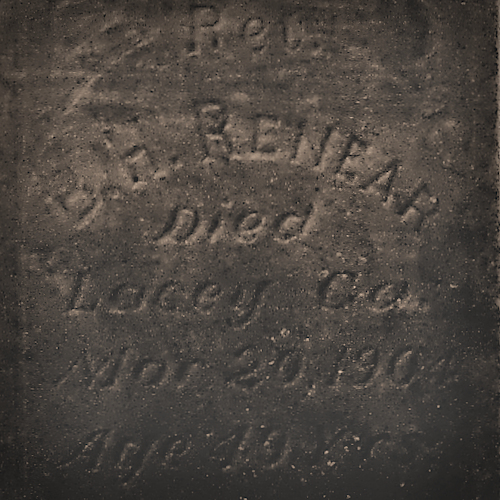 Reverend B. H. Renear- Died Lacey Ga. Mar 20 1904. Age 40 yrs. Lacey was the name of the post office at Gould’s Landing. It operated near the cemetery from 1896-1914, replacing the Bahama post office which operated from 1891-1895. 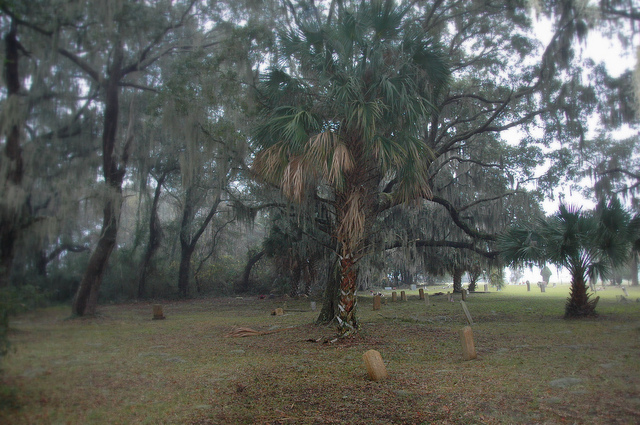 Palm trees and old-growth oaks characterize this space. The Barbour River passes near the perimeter of the cemetery. Good Job! This cemetery is close to my home and I ride my bicycle there sometimes. It is one of the most peaceful and beautiful places on the Georgia coast! Truly a great place, Jim. Thanks. We would love to visit the Gould Cemetary, Harris Neck. Is it open to the public? If so how do I obtain directions from Charleston. Wonderful post. Thanks so much. 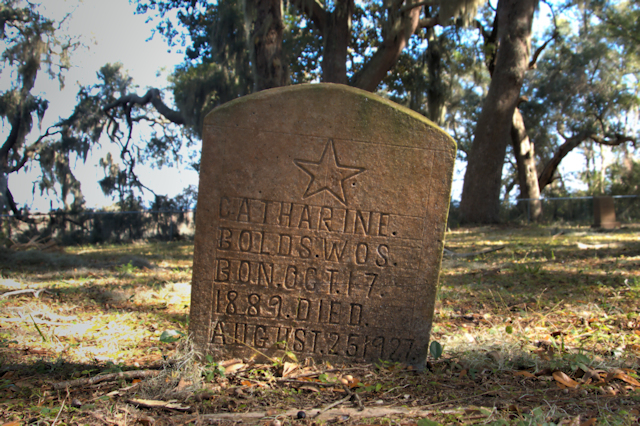 It’s just off US 17, about 35 miles south of Savannah. 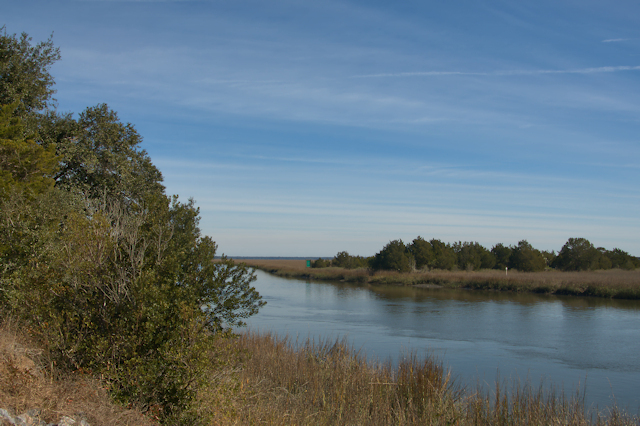 There are signs for Harris Neck NWR and it’s inside the refuge, near the Barbout River landing. Someone at the refuge can point you to the landing. I have visited there and I agree that it is a very moving place. I was fascinated with the markers and the histories. Thank you for taking time to do this.